LatinaLista — Before cosmologist Stephen Hawking captured global attention with his theories about the universe, there was another cosmologist by the name of Carl Sagan. Rivaled only by oceanographer Jacques Cousteau in making science interesting and relevant to the common person, Brooklyn-born Carl Sagan brought the wonder and mystery of the universe into people’s homes through his 1970’s 13-episode PBS series Cosmos: A Personal Voyage. Carl Sagan died in 1996 but he never stopped advocating for his favorite subject. Since his death, aside from Stephen Hawking, other scientists have emerged on the small screen to make science relatable to everyone. One of those scientists is Dr. Neil deGrasse Tyson. Professor deGrasseTyson is an astrophysicist and director of the Hayden Planetarium in New York City. deGrasse Tyson was born in Manhattan and raised in the Bronx, the middle child in a bicultural family (Puerto Rican and American). In the featured video interview with journalist Bill Moyers, deGrasse Tyson reveals that Dr. Sagan personally encouraged him to attend the same university, Cornell, where Sagan taught. Little did they both realize that one day Dr. deGrasse Tyson would take over the landmark science show that Dr. Sagan made famous. 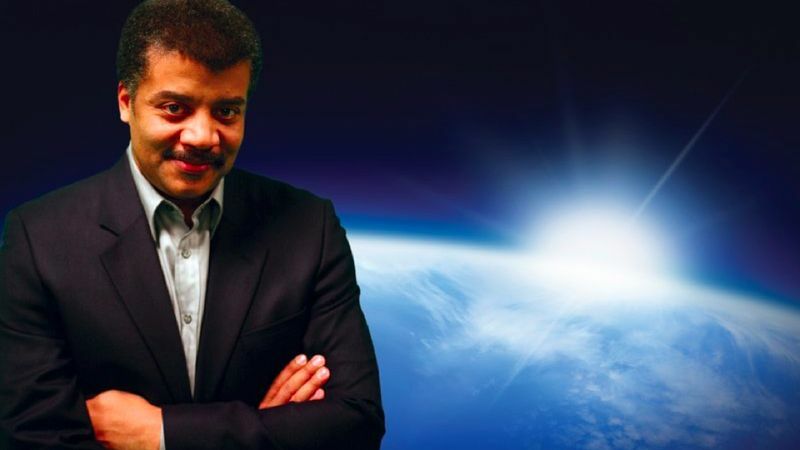 Starting in March, the series will be resurrected with Dr. deGrasse Tyson as its new host. Retitled Cosmos: A Spacetime Odyssey strives for the same objectives as when Dr. Sagan hosted it but the 21st Century version is decidedly different (trailer). For starters, PBS isn’t hosting this show. Produced by Family Guy creator Seth MacFarlane and joined by Sagan’s widow, Ann Druyan, among others, this Cosmos won’t be tucked into the line-up of public television but rather showcased on a much wider platform — Sunday nights on Fox, with longer versions of the show available on Nat Geo. Also, each show is promised to be as entertaining as it is scientifically accurate with animation, special effects and ‘out-of-this-world’ sets. The premiere will start at 9 p.m. ET Sunday March 9 on FOX. The same episode will air with extra footage and special features on National Geographic channel on March 10 at 10 p.m.
To not mention anything in this multi-paragraph article of his father’s ethnic heritage is whitewashing. From the title to the mention of his father being simply “American”. The word “African” doesn’t appear once. I know this is a Latin focused site and you may want to “claim” him but people won’t identify with him any less knowing he’s got a black father. Why omit that? It’s 2014. It may not seem to matter or seem trivial but it matters for young brown and black boys and girls to see an intelligent person who looks like them. That aside, it’s great otherwise he’s being feature here and drawing attention to astrophysics and changing the face of science for both Latinos and people of color to identify with.